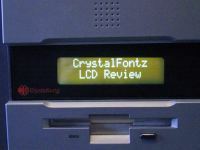 Today we'll be taking a look on the Crystalfontz CFA632FNLY-U LCD screen from LC Design. This LCD screen is the 632 LCD screen from Crystal Fontz with USB connection.It has 2 lines with Yellow/Green LED Backlight and it's STN Negative, Blue. The USB connection makes the installation easier because you only need one cable for both power and data. 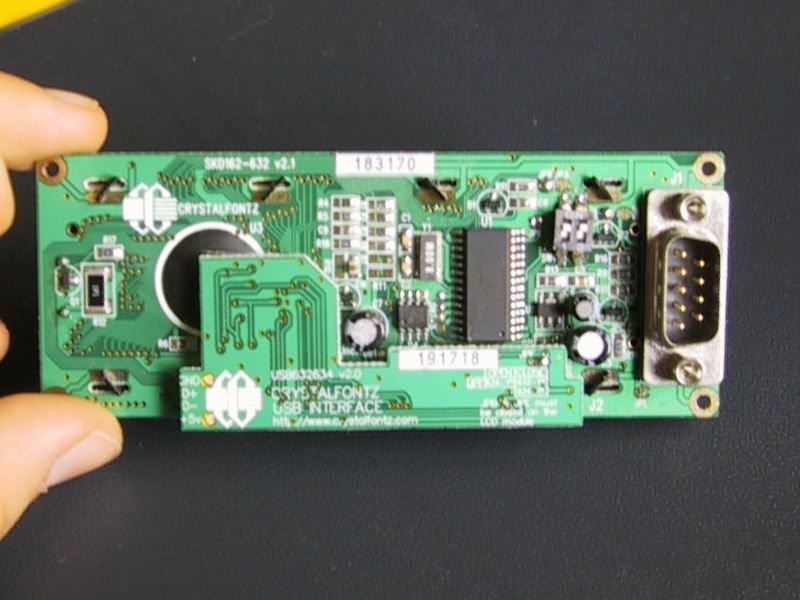 The serial LCD modules need 2 cables, one for data and one for power. 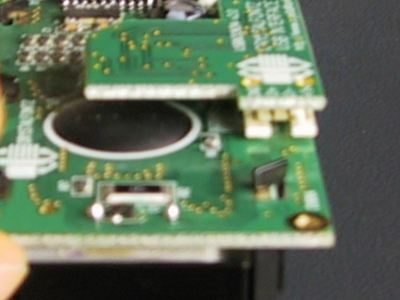 The USB version is fully compatible by using a 'Virtual COM port" driver. 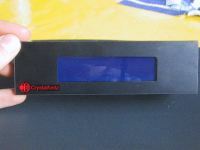 The display has the ability to store a customized boot screen of your design in its EEPROM. All features of the display are controlled: characters displayed, user-definable characters, backlight setting, contrast setting, cursor position, cursor style, “wrap” setting, “scroll” setting, and even the scrolling marquee. 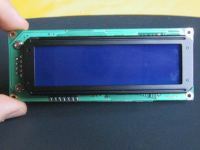 From left to right : on the first pic you can see the LCD screen. Without being powered up it looks dark blue. The second pic is the PCB plate on back of the screen. 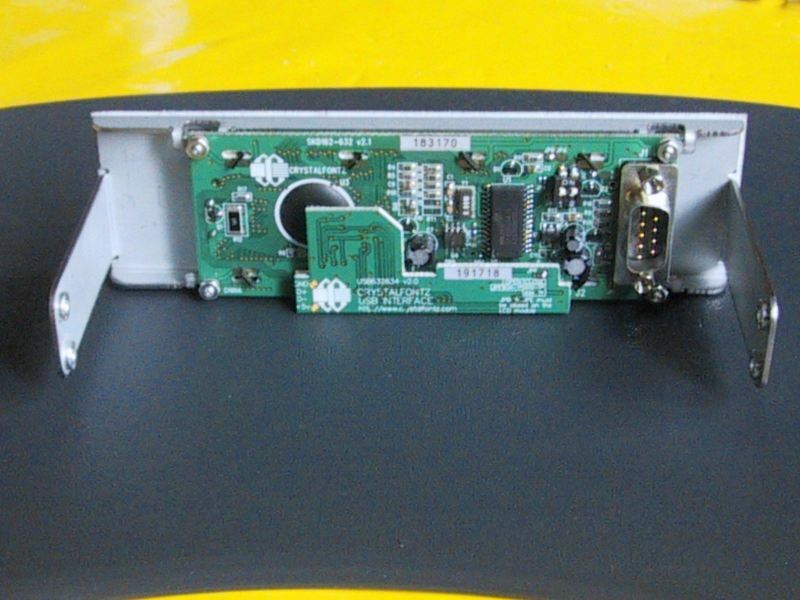 On the right you can see 2 little switches, they are used to config the baud rating of the LCD screen. 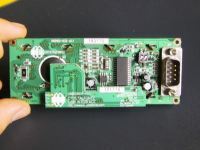 Even more to the right you have a serial connector, and in the lower middle you have an extra PCB plate which is used for the USB connection. On picture number three you can see the USB connector. From left to right : On the first picture you have the black mounting bracket. 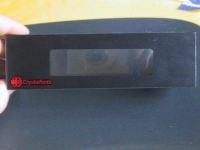 It consists out of an iron bracket with a black adhesive plastic front attached to it. 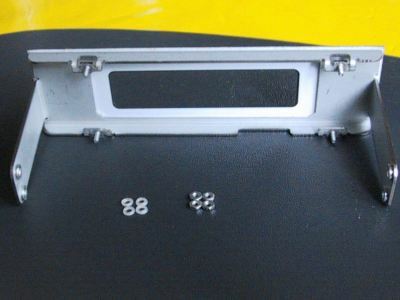 Also note that it has a clear plastic to protect the screen of your LCD module. On the second pic you can see the back of it and the screws to mount the LCD screen. 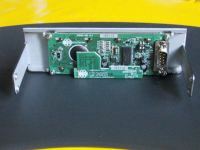 On the third pic the LCD screen mounted in the mounting bracket. And on the last picture you can see the back of the bracket with the LCD screen installed. Installing it is really simple.